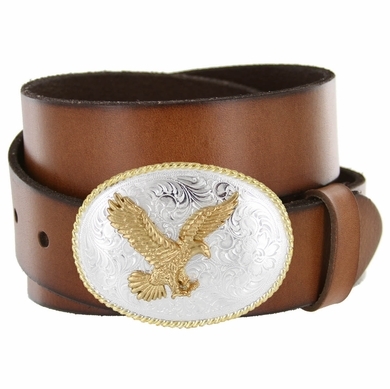 Bright Golden American Eagle on Engraved sterling finish background with Bright gold finish rope border. Snaps onto Full Grain Genuine cowhide leather 1 1/2" wide belt. A great casual jean belt.